Within driving distance of where I live stood one of the oldest living trees in the world, until today. 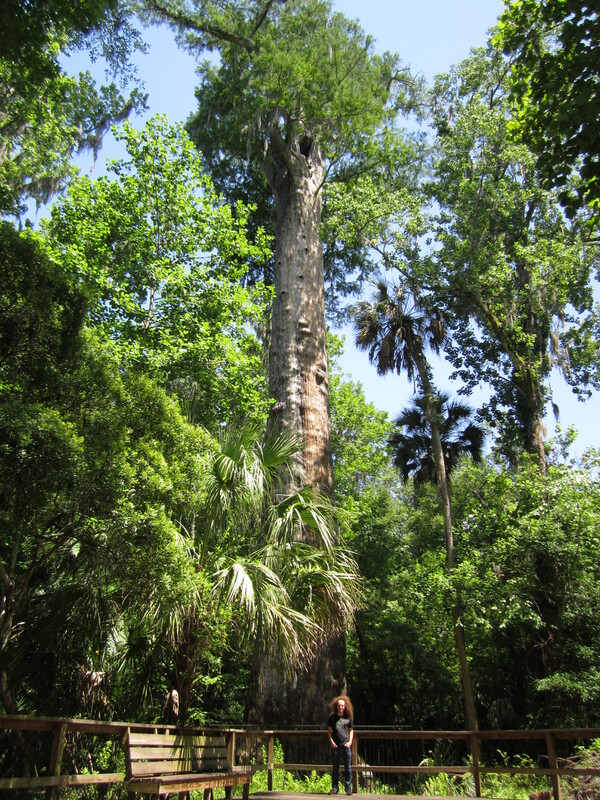 “The Senator,” as the tree was known, held its ground for an estimated 3,500 years. Monday morning it caught fire and collapsed. The cause of the fire is unknown. This was terribly sad news. How odd to consider that something that lasted for so long and endured so much came to its end in one’s own lifetime. But how do we begin to asses this sort of loss? It points out the woeful inadequacy of our preference for quantifiable measures, none of which could possibly account for the passing of old trees. One measure of the tree’s significance suggested itself to me when a local station interviewed a woman who came to the fallen tree this morning with an old black and white photograph. Coming to the tree had been a part of her family’s history. The tree marked time for her. In one sense, it marks time for all of us. America is not a land of ruins that might engrave in our imagination a feeling for the depth of history. There is very little by which we might take the measure of our lives, and less still that might suggest to us the ephemeral nature of the days with which we have been gifted and to discourage us from adopting the pretensions of presumed timelessness. This tree, when it was looked upon and thought of, did just that. That seems just about right. A beautiful and thoughtful eulogy. There are so few ancient trees left today that people flock to see them, to look up and wonder at their height, to touch their bark and marvel at the layers of the years held within their trunks. A sad parting, and as with all partings, reflections to be made and lessons to be learned. Thank you, and very true. I am a regular reader but a silent one, and I just had to comment abotu this because even though I read it a few days ago, its still staying with me. I love trees, I wish I knew why, but I love trees and I am dumbfounded that such an old tree existed in Seminole County Florida just miles from where my parents live. I’ve driven by that area countless tims and I never knew. Had I known I would have rushed to it. . . and now it’s gone. When I’ve traveled overseas to Europe, Asia, etc everything is so old and full of history. As you said, when you step inside a 2,000 year old Church or 1,200 year old Mosque, it really does put your own life in perspective. We are surrounded by so much new, so much alikeness that we truly can think each day is ours to waste or flit away. Thank you for this beautifully stated reminder. And thank you for the comment. That is very much what I was driving at, putting your own life in perspective.